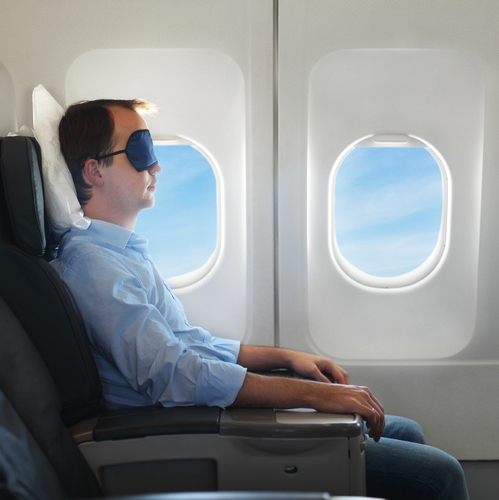 No matter where you’re traveling—on vacation, to a conference, or to visit friends and family—chances are, a plane ride isn’t going to be the highlight of your trip. But with a little planning, your time in the terminal or in the air can go a lot smoother. 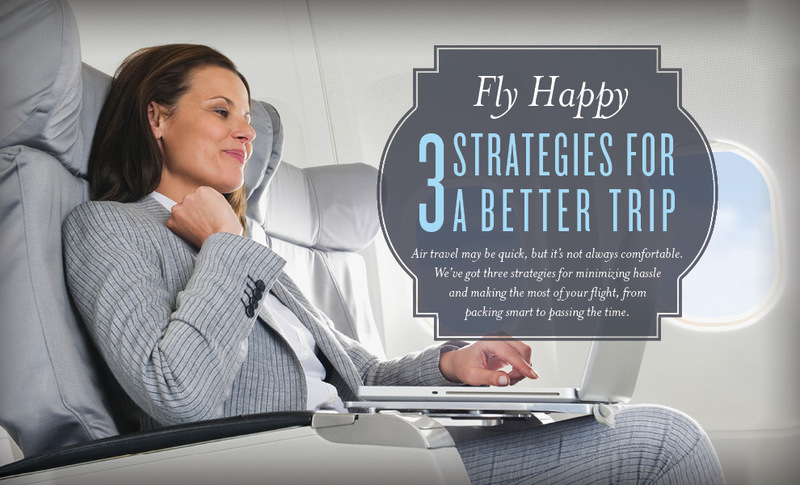 Check out our top tips for flying happy! Pare down and pick just a few very versatile items of clothing that match interchangeably in different combinations. Accessories such as scarves, belts, and jewelry can go a long way toward refreshing an old outfit without adding much bulk to your bag. 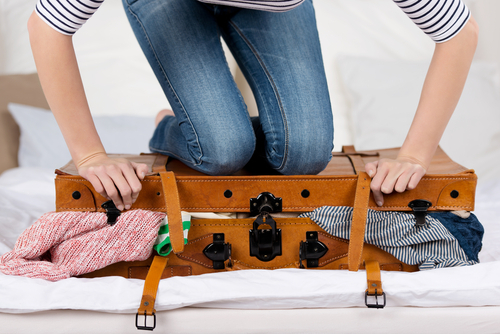 Roll your clothes instead of folding them—they’ll fit better in your suitcase, and you’ll avoid wrinkles. Be sure to check recent Travel Security Administration (TSA) guidelines before packing and make sure all of the liquid and gel toiletries you have in your carry-on are TSA compliant. We’ve specifically designed our Bon Voyage travel kit to fit those regulations and make it easy to take Young Living necessities on the road. The kit includes 10 travel-sized Young Living personal care products: Thieves® AromaBright Toothpaste, Thieves Waterless Hand Purifier, Thieves Dental Floss, Thieves Fresh Essence Plus Mouthwash, Young Living branded Toothbrush, Lavender Shampoo, Lavender Conditioner, Cinnamint Lip Balm, Morning Start™ Bath & Shower Gel, and Genesis™ Hand & Body Lotion. While you’re waiting to board, be sure to take a moment and wash your hands. Be thorough—at least 20 seconds of hand washing is recommended. Try singing the ABCs to yourself twice while you lather, scrub, and clean under your fingernails with soap and hot water. When you don’t have a sink and soap nearby, pull out the Thieves Waterless Hand Purifier in your Bon Voyage kit. Rub a dollop over your hands before reaching for those free peanuts. Just relax. With electronics restrictions, flights are a good opportunity to be totally switched off—make the most of letting a few texts and emails wait. Rub a little AromaEase™ between your palms and inhale deeply to enjoy its minty and calming aroma as needed. Whether you prefer paper books or e-readers, tackle a book you’ve been meaning to read. 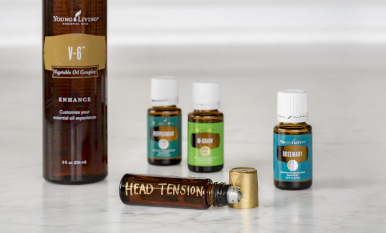 When the beverage cart comes around, try adding a drop or two of Stress Away™ to your drink for a boost of vanilla-lime flavor. Organize your life and make a to-do list. Feel cramped? Get your blood flowing and do simple leg and foot stretches or get up to walk to the restroom or to visit with others in your party. If electronics are permitted on your flight, pay the fee for Wi-Fi and go online to shop, read the news, or browse social media. You could switch your smartphone to airplane mode and take some snapshots of the landscape below. Order a snack or beverage you normally don’t. Have a flight coming up? How do you plan to make your trip fun and hassle free? 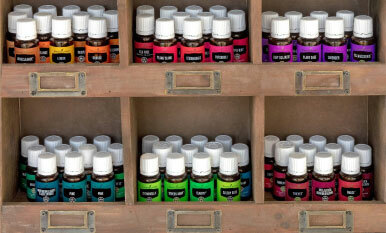 Which Young Living products are a must in your carry-on? Tell us in the comments!